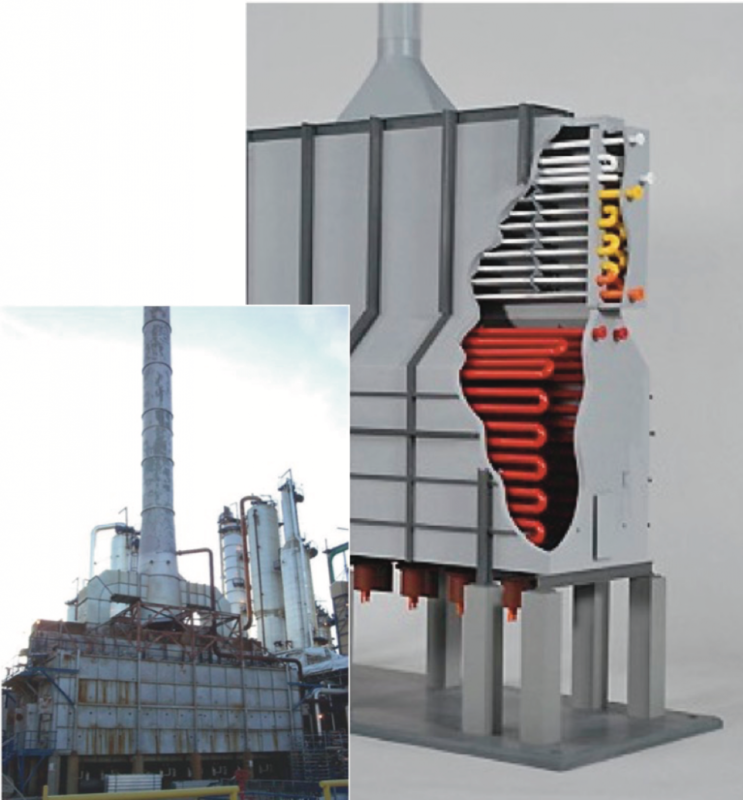 Industrial furnaces are the basis of numerous and different production, manufacture and refinement processes that take place at rather high temperatures (over 400°C). As they are subject to a constant stress, in many cases operating for 24/7, these systems suffer a continuous wear due to various factors: strong heat, contact of flames with internal elements, residues generated during the chemical processes, mechanical stress. 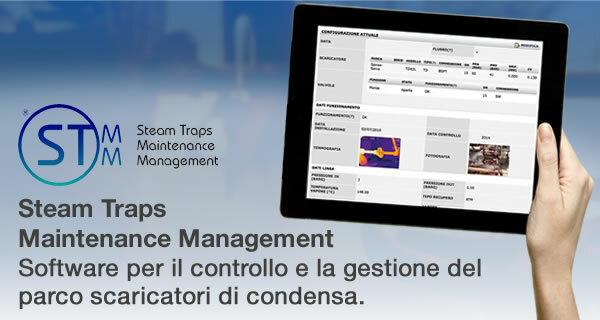 As a direct result, inefficiencies and anomalies may originate and consequently affect both the productivity of the furnace and, in extreme cases, the safety of the whole structure. Thus it is necessary to periodically check the operation and wear state of the plant, in order to provide the correct indications to the maintenance personnel. 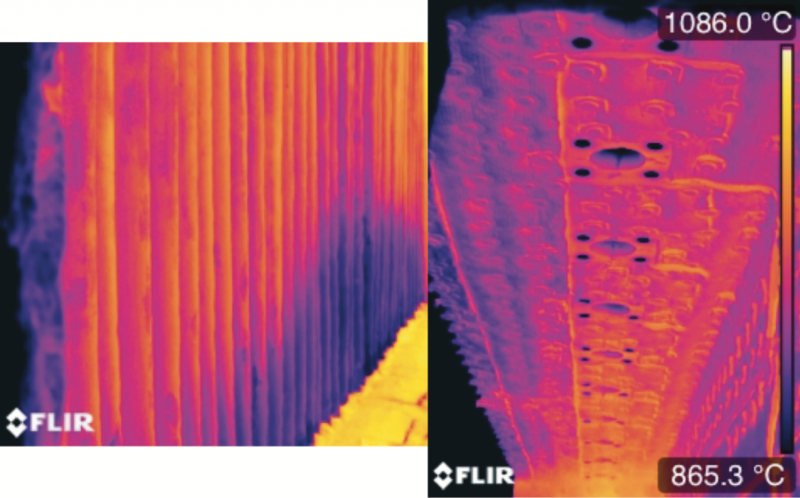 The infrared surveys allow to check the overall distribution of the heat and the surface temperature values in the specific areas that are inspected. 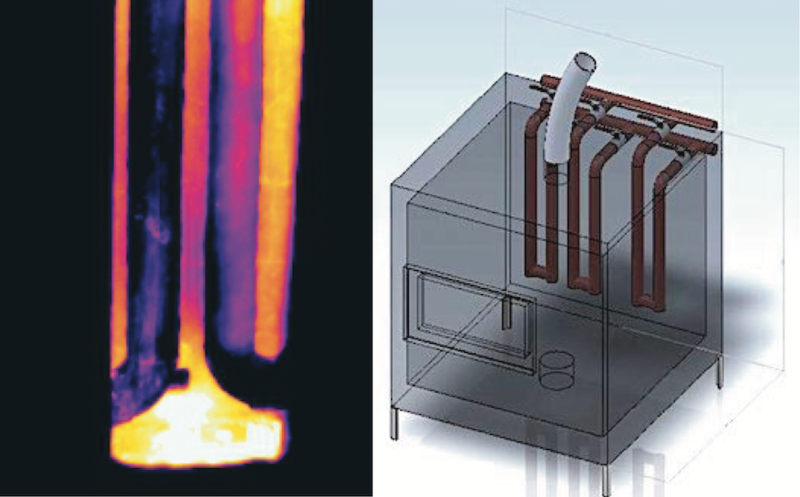 As a general rule, the most marked “temperature differences” between structurally similar items in the same environment are indexes of more or less critical anomalies, which may be related to the single component or to the whole system. 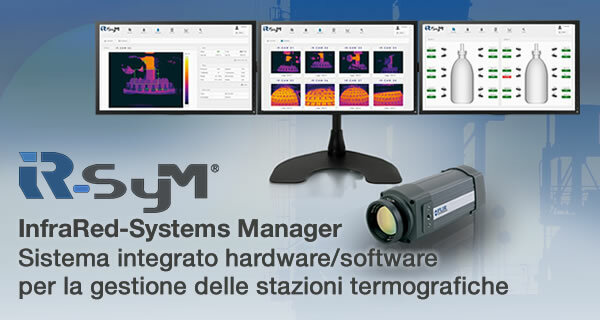 In the case of industrial furnaces, as they are very complex structures, it is crucial to understand that measuring only the “hot spots”, detectable through single thermocouples and/or pyrometers, is not enough for a correct and complete analysis. Actually, the multiple detectable issues depend on diverse factors that often parallely produce their effects on large areas and it is necessary to simultaneously check wide sections of the system. For this reason the thermocouples that are fixed on specific points, though fundamental for the continuous check of the estimated temperature of the product, only offer unimportant information on the specific issues that can arise in various parts of the furnace. 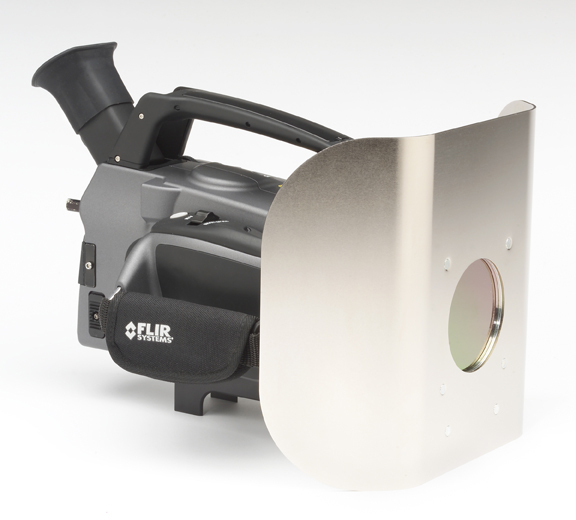 The analysis by means of a furnace specific thermal camera, which is insensitive to the infrared radiation emitted by the flames and capable of reading the real temperature of pipes and walls, allows to have a complete overview of the temperatures in the inspected area and, more specifically, distinguish the thermal pattern of each component. This element enables the technicians to define and identify the existing anomalies, each characterized by unique shape and attributes. 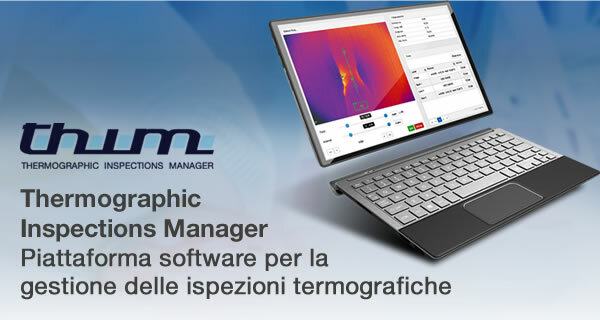 Our work team, always trained and updated, periodically deals with these issues also through their reconstruction in our didactic furnaces, specially designed and manufactured for the training of the certified inspection personnel.